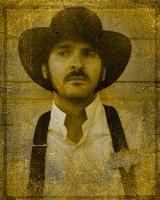 Reluctant lawman. Went West after going AWOL during the Civil War. Observant and practical. Lives in the gray area of justice.